Still, I think it's important for anyone studying about or contemplating coming to Galapagos to know about El Niño and why it's an important consideration for the entire archipelago. I've written before about El Niño in my post about all of the ocean currents that flow around the Galapagos archipelago. El Niño occurs when westward trade wins subside for a prolonged period of time. When the air stagnates, the cool Humboldt Current that nourishes marine life with small fish, plankton and ocean plants cannot flow naturally. When the nutrient-rich water diminishes, the food source on which other species depend is lost, with often devastating results. Likewise, the plant life dies. Some of the marine life dies from the uncommonly warm water; other marine life swims away to another place. Bottom line - the food source goes away. 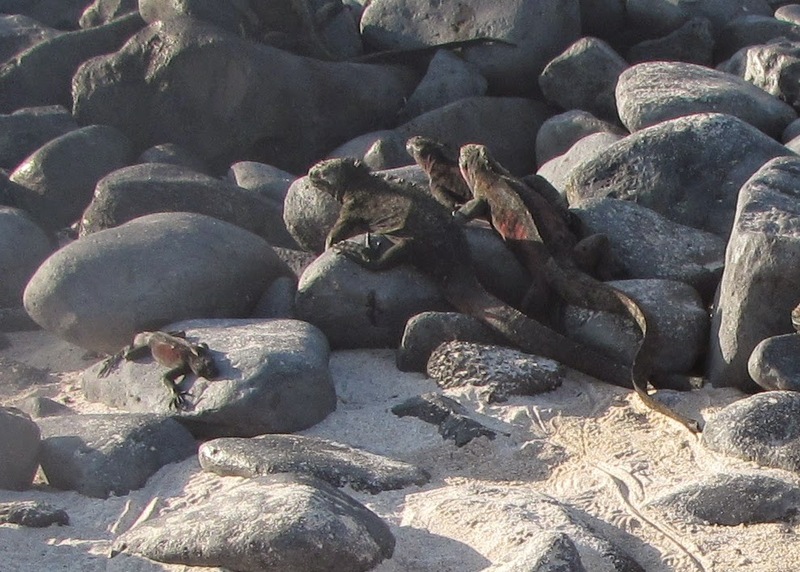 What happens when the delicate balance of nature that feeds the fish, birds and marine life such as Galapagos Penguins, Boobies, Cormorants and Marine Iguanas is broken? The breeding cycle is broken as well. Many animals die; other don't breed because they don't have sufficient nutrition/energy to do so and because, in nature, when there is nothing for a species to live on, breeding stops naturally. 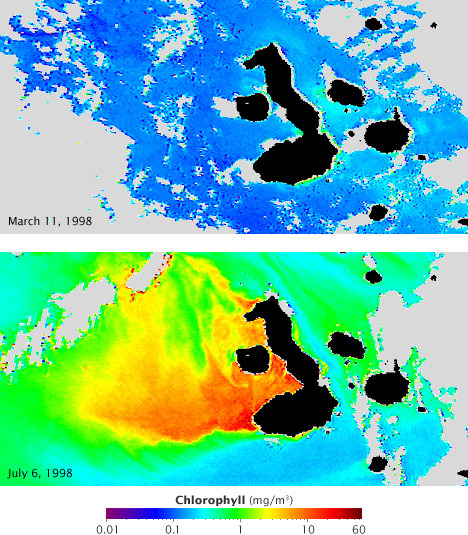 What Happens to the Water in an El Niño Event? The best way to show you what actually happens to the water during El Niño is through NASA imagery. In these pictures, the brighter photograph shows heavy concentrations of plant life that typically exist in Galapagos. In contrast, the blue spectrum represents the low level of plant life resulting from El Niño. When we have El Niño in Galapagos, sea lions, seabirds, iguanas and tortoises, among other species, suffer high mortality. But, all it takes is for the water to become cold again, for the strong who have survived to again start feeding and becoming prolific breeders. Is El Niño a Good or Bad Thing? It's incredibly sad to thing of sea lions dying and marine iguanas starving. I hate to see this happen. But, in terms of survival of the fittest, we always have to remember that change is part of natural evolution. Evolution allows the strongest to survive and new species to evolve. 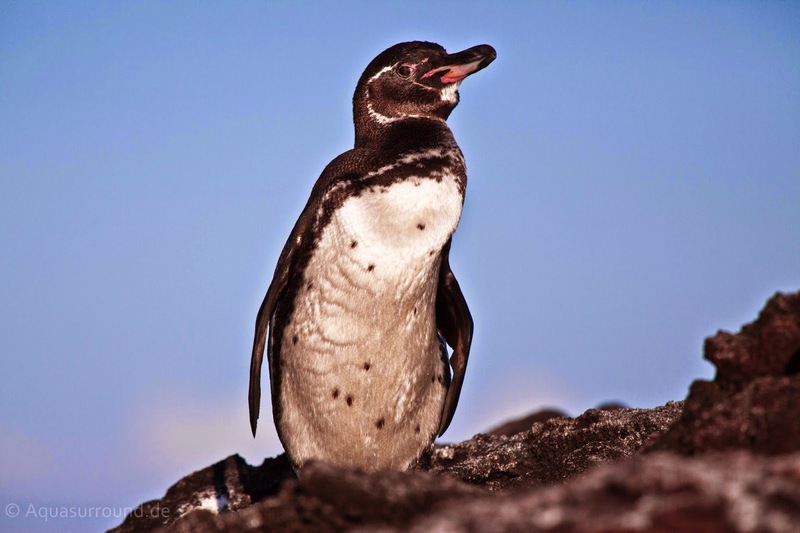 So, I prefer to think of El Niño without judgment, as neither a good or bad thing for Galapagos. Rather, it is a naturally occurring and uncontrollable phenomenon that is part of the cycle of life. Have more questions? Just write a comment and I'll be happy to respond.